Free Printable Christmas Gift Tags. Free Printable Christmas Gift Tags for all your gifts this Christmas. You can print your own Gift Tags to save money or in case you forgot to buy some gift tags at the store this printable can be helpful. Perfect for home made crafts, cups, baskets, personalized gifts and more. Print the Christmas Gift Tags using your desired paper color with your inkjet or laser printer and help Santa this Christmas with all the gifts. 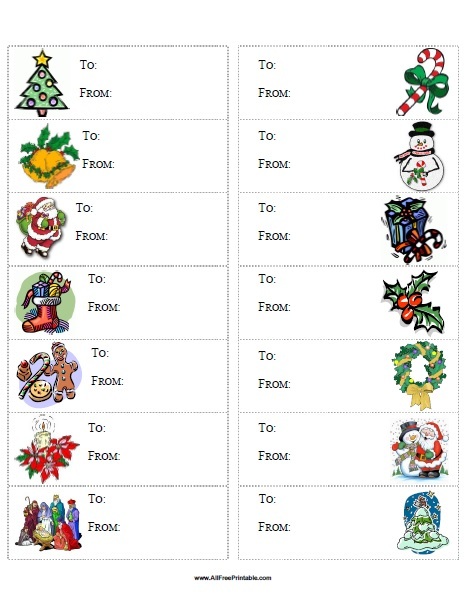 Download or print the Christmas Gift Tags in Adobe PDF format, 14 tags per page.